Copper Harbor is situated on the peninsula’s northern-most end and neighbors a good amount of undeveloped conservancy land, most of which is open for “Leave No Trace” primitive camping. This includes a 12-mile stretch of Lake Superior shoreline that was acquired by the State of Michigan in 2002 as a part of over 8000 acres, now in a state forest designation. A 25-mile expedition from Copper Harbor around the tip of the peninsula to Bete Grise showcases some of the peninsulas most scenic and rugged shoreline. This route is recommended only for experienced paddlers as the exposed shoreline is often uncompromising, sometimes with limited landing sites. This paddle, however, highlights sea stacks, giant and beautifully colored slabs of sedimentary rock below the surface of the gin-clear water, cliffs, waterfalls and a number of small arches and sea caves. 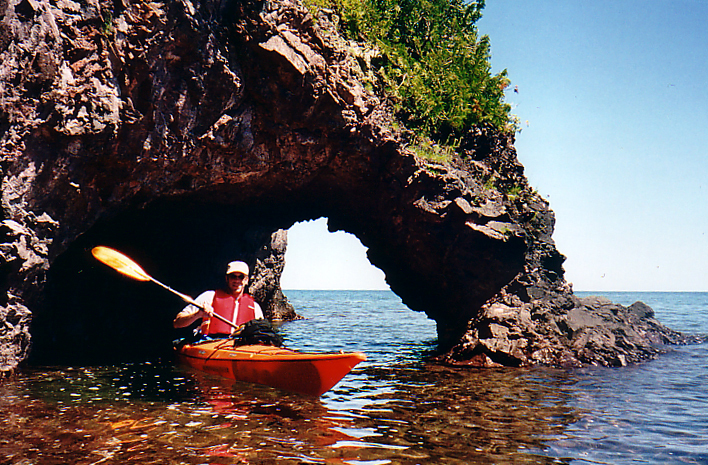 Michigan’s Keweenaw Water Trail is a designated route established in 1995 for paddlers of sea kayaks and canoes. Nicknamed “A Superior Sports Port” by National Geographic Adventure Magazine, the Water Trail exemplifies the Keweenaw Peninsula in the most literal sense. 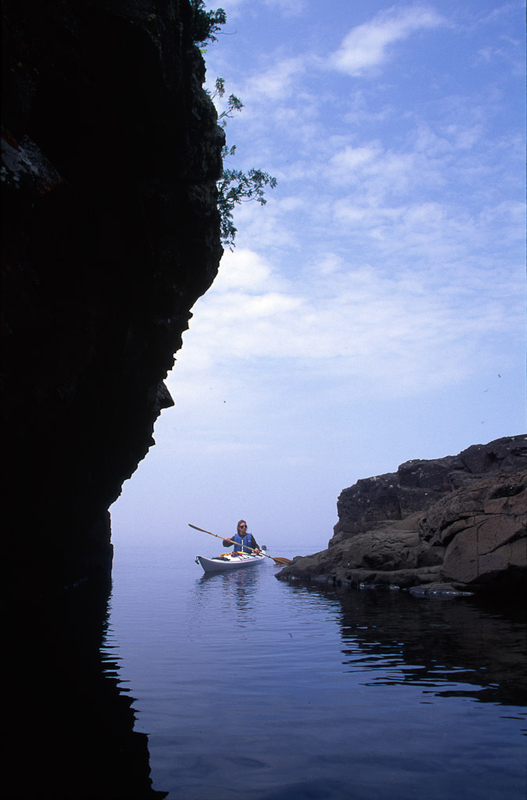 The Keweenaw offers a rugged coastline that competes with that of the legendary Isle Royale, only without the ferryboat ride. 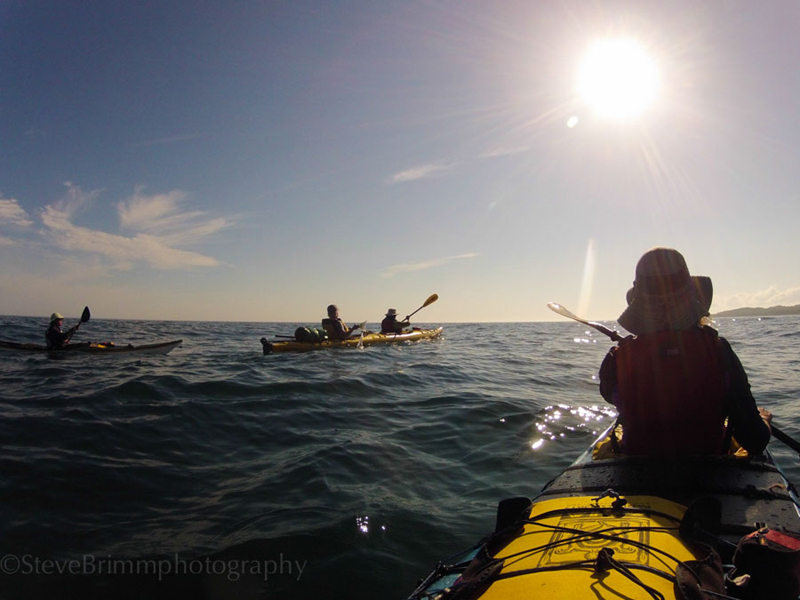 It highlights a mixture of uninhabited wilderness areas, intermittent parks and nature preserves and sheltered harbors that offer the weary paddler the option for a hot meal, a hot shower or lodging at a comfy inn. The many inland lakes of the Keweenaw offer many opportunities for paddling canoes & kayaks in a number of scenic and sheltered locations. Lake Fanny Hooe and Lake Manganese are both located within a mile of the Copper Harbor village limits and often times have placid conditions for a leisurely paddle. A day use permit to launch personal water craft is required for a small fee at the Ft. Wilkins Boat Launch and there is no fee for Lake Manganese paddlers. Lake Medora, just four miles south of Copper Harbor, is a Canadian-like lake that has a number of islands, scenic mountain views and is known to have some good fishing. Several of the islands are open to the public, however users need to respect the majority of the shoreline, as it is privately owned. The boat launch is located right along US 41. Lac La Belle neighbors Mount Bohemia and is just 15 minutes from Copper Harbor. Lac La Belle is one of the largest inland lakes in the Keweenaw, although it is relatively inhabited with a number of seasonal camps and cottages. A public boat launch is located on the northeast side of the lake and has long been a favorite of fisherman. Lac La Belle is unique in that is connects to Lake Superior and offers boaters access to the BIG LAKE while at the same time providing a harbor of refuge. Schlatter’s Lake sits on about eight miles east of Copper Harbor, on the State Forest land near the tip of the peninsula. Paddlers will need a 4-wheel drive vehicle to access its remote locale or be willing to portage for several miles. This uninhabited lake is great for its solitude and its fishing and is known for its island. Primitive camping is allowed on the lake’s shore, although a user permit, available for no fee, must be obtained from Ft. Wilkins State Park. Camping is prohibited on Schlatter’s Island, although day use is permitted. Lake Bailey, a.k.a. the “doughnut” lake, is located on M-26 about 10 miles west of Copper Harbor. A public boat launch is on the lake’s eastern end. This lakes shallow and marshy nature is very scenic and a waterfowl haven. The large island on the lake’s center is accessible for day use by the public.